The Skinny: Darker sequel to Troublesome Night that's less funny than the first. by Kozo: Sequel to the original Troublesome Night. Using the popular "three horror stories" structure, this new installment features the same stars as the first Troublesome Night in all-new situations. 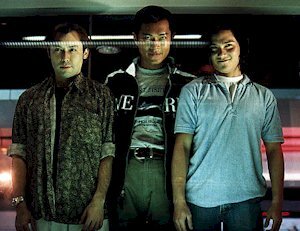 Simon Lui, Louis Koo, and Allen Ting are three DJs who undergo lots of haunting when various nasty events happen in their lives making them spiritual targets.